A research group at the University of Rochester has developed a new polymer with some amazing traits. It can be stretched or manipulated into new shapes, and it will hold that shape until heat is applied. Shape-shifting polymers like this already exist, but this one is special: it can go back to its original shape when triggered by the heat of a human body. Oh, and it can also lift objects up to 1000 times its mass. The group’s leader, chemical engineering professor [Mitch Anthamatten], is excited by the possibilities of this creation. When the material is stretched, strain is induced which deforms the chains and triggers crystallization. This crystallization is what makes it retain the new shape. Once heat is applied, the crystals are broken and the polymer returns to its original shape. These properties imply several biomedical applications like sutures and artificial skin. It could also be used for tailored-fit clothing or wearable technology. The shape-shifting process creates elastic energy in the polymer, which means that it can do work while it springs back to normal. Careful application of molecular linkers made it possible for the group to dial in the so-called melting point at which the crystallization begins to break down. [Anthamatten] explains the special attributes of the material in one of the videos after the break. Another video shows examples of some of the work-related applications for the polymer—a stretched out strand can pull a toy truck up an incline or crush a dried seed pod. Thanks for the tip, [Michael]. ← Where are all the Camless Engines? Will we see Strange Change Machines come back to the market then? Not much of an explanation, of the physico-chemical process. Find more below. It seems that Jiahui Li pioneered this at rochester and Prof. Mitchell Anthamatten came up with a lower temperature H-bonding condensed polymer melt elastomer. Link to Jiahui Li’s paper below. Interesting, with the low temp recovery. How much force will it lift without tearing in half? How many cycles can it go through before degrading? There is always someone asking these sorts of tiresome questions about new materials, is there? For several years it was my job to do so along with some pointed inquiries about cost and availability that always put a damper on the mood in the room. That’s just it, it was always depressing how often the answers weren’t what we wanted. The only way you are getting your hands on it, in a reasonable time frame, is to make it yourself. Read the paper posted one comment before yours and then watch shia leboufs “just do it” video. If you don’t understand the terms look them up one by one until you do. It really is not difficult in my opinion and I can already think of ways to make this better, and last longer. As it stands I don’t think you will get 1000 cycles out of this before it’s worn out. Think of other things that could be saturated with hydrogen and also has strong vanderwalls forces… Hackaday loves to write clickbait articles about it if that helps you out. That was my thought. A bundle of these could have quite a bit of force behind it. How to warm it up could be the hard part. Maybe coating it with something conductive or putting it around a tube with a bit of nichrome inside and have a slip ring to keep it stable. I’d like to know how fast you can make it return without it melting. The low melting point could give it some real advantages over memory metals. If this thing only needs body heat to decrystallize, then nichrome is probably just going to melt it. If I’m not mistaken, this’d be lighter and stronger than memory metals too. I remember playing with a small strip of Cellophane. It curls up on my palms, and sometimes just rocks back and forth very slowly. Thanks for looking it up, I appreciate it! 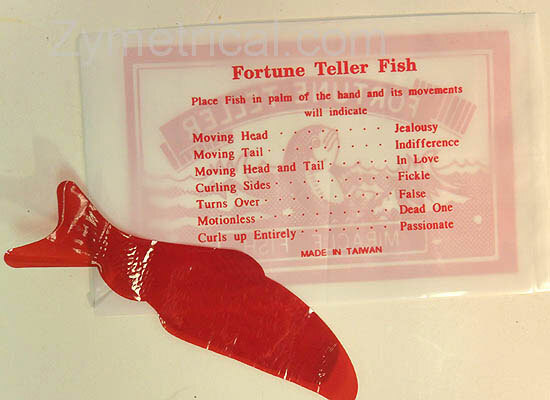 The red fortune teller fish? That was the first thing I thought of. Thats due to humidity. But there are pink (antistatic) bags for components delivered from farnell, which have a very rubbery feeling and are marked as biodegradable. The are obviously hygroscopic and bend/curl to the other side if you expose one side to humid air (breath).